Exhibits: DS series High efficiency mufti-function Integrated Machine, LZ Fine sand reclaiming machine—a high efficiency fine sand reclaiming machine, XS environmental protection sand washing and dewatering machine, TS dewatering vibration screen, Tailings dry discharge sieve and Sludge purification system. The exhibition is going to around Xinjiang’s industrial characteristics and development strategy,take advantage of core area of Silk Road Economic Belt with neighboring countries’ market feature to set up three parts: investment cooperation exhibition, international and Hong Kong Macao and Taiwan regional exhibition and merchandise trade exhibition. 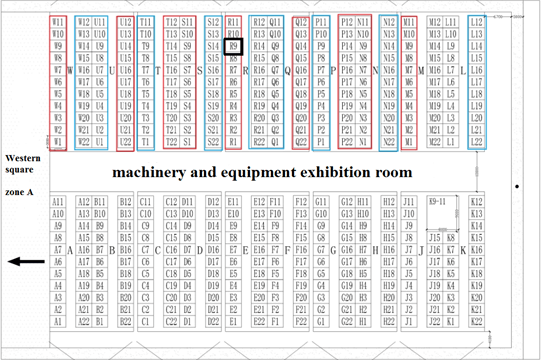 The part of merchandise trade includes twelve professional exhibition area: textiles and garments exhibition, Agriculture products and food exhibition, wine show,Intelligent life exhibition, Logistical and informatization exhibition, Building Materials exhibition, jade jewelry exhibition, the second China-Eurasia publishing Expo, machinery and equipment exhibition, engineering machinery and engineering vehicles exhibition, agricultural mechanical equipment exhibition and auto life exhibition. Previous：The oversize slurry dewatering screen is forthcoming! Next：How to improve the wear-resisting degree of polyurethane screen panel?